As most of you may know, I was heavily involved with Whtsnews.com - my personal blog where I shared many of my reviews, stories, pictures, videos, etc. Slowly but surely, I began to stop posting on the site. Why? Well, Blogger was lagging in times and I wanted to take some time to find another host that not only was with the times, but also allowed me to post on the go as easily as possible. Where I focused on product reviews, news, and mainstream stuff, I wanted a change that also included things about my life. You are probably thinking, "That is what Facebook is for." and you would probably be right, however, this will be a way to inform my viewers more in depth. Will there be many changes to the structure of the site? No, there will not be. I will still be writing (probably every other day), and still cover what I have always been covering with a personal flair to it. I will also have my guest blogger, Brooks Sanford, who has contributed in the past occasionally. With all this being said, I hope you enjoy the new site! I will be making changes here and there. Feel free to contact me regarding anything you want to share. I will have a new URL for this blog so you will easily be able to access www.JoCoWash.com. Take care guys and thanks again for reading! 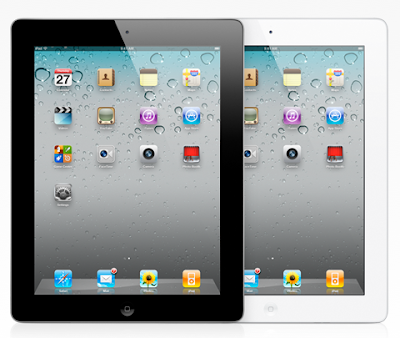 The next-generation iPad will be capable of making FaceTime calls with other FaceTime-capable devices. The rear-facing camera can capture 720p HD video. The iPad 2 will also have the same battery life as the first generation of 10 hours and 30 days of stand-by time despite the thinner appearance. The iPad 2 will be available March 11 for the same price as the first generation. Have your credit cards ready! Companies will love this. Anybots are coming - the self-balancing QB robot available for purchase and shipping now. However, at $15,000 I'm thinking not too many consumers will be jumping on this bandwagon to start. The self-balancing bots enable you to be somewhere that you aren't, controlled through a simple web interface and enabling executives to remotely monitor and control comfortably at home. Check out the video below for more details. 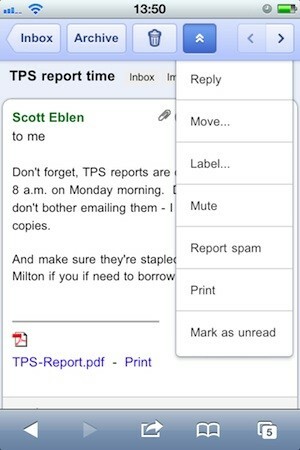 Google is getting better and better for the iPhone and other mobile devices. 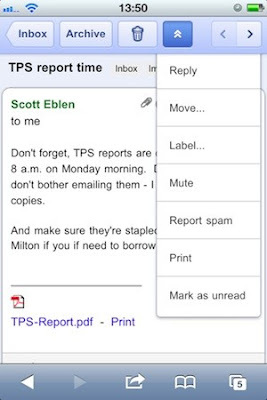 Google has now announced that it's begun rolling the service out to its mobile Google Docs and Gmail sites, which you'll be able to use to print documents from most mobile devices that supports HTML5 -- those running Android 2.1+ or iOS 3+, for instance. "To get started, you’ll need to connect your printer to Google Cloud Print. This step requires a Windows PC for now, but Linux and Mac support are coming soon. You can learn more at the Google Cloud Print help center." Verizon has acquired the right to sell the iPhone starting February 10 with pre-orders beginning on February 3, the company announced this morning in one of the worst-kept secrets since the Beatles appeared on iTunes. The iPhone will connect to the CDMA network and will be $199 for the 16GB model and $299 for the 32GB model (with a 2-year contract and required data plan, of course). What is different? Not much except a mobile hotspot is included, allowing you to connect up to five devices through the iPhone. The talks began in 2008, when the two companies began to discuss bringing over the iPhone over for the CDMA network, and indeed the release of the iPad on the carrier last year was proof of the iPhone's imminent arrival. CES Begins Tomorrow. What Will the Future Hold? The year 2011 will bring a host of new gadgets and gizmos, but the highlight will be the tablet. 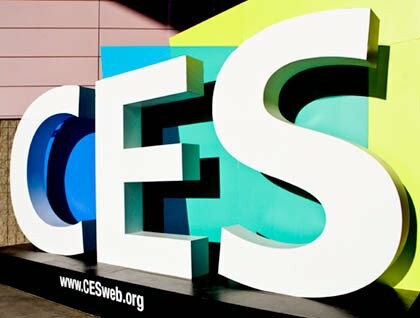 CES starts tomorrow and already you can see a variety of sneak peek tablets that will hit the market this year. If you would like to stay up to date on this year's tech, be sure to check out Engadget and Gizmodo for constant coverage. 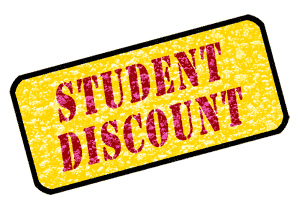 Learn How to Always Save Money "Being a Student"
Student discounts are annoying now that I am no longer a student. Are you eligible for the Student Discount, student photo ID, documents, paperwork, enrollment verification... Sheesh. But do you want to know a secret? You can get a student discount forever! "First of all, student discounts are most commonly awarded to college students who either are wealthy enough to afford college or are able to incur a massive amount of debt (scholarship folk—congrats, but you're a rare breed and therefore do not count). The idea here is that college students aren't necessarily stricken with poverty or will be more so after finishing their education. For that reason, the student discount might actually be better applied after a student has graduated. If you agree with this reasoning, welcome to the forever student discount club." Lifehacker, one of my favorites sites to visit, explains the juicy details.